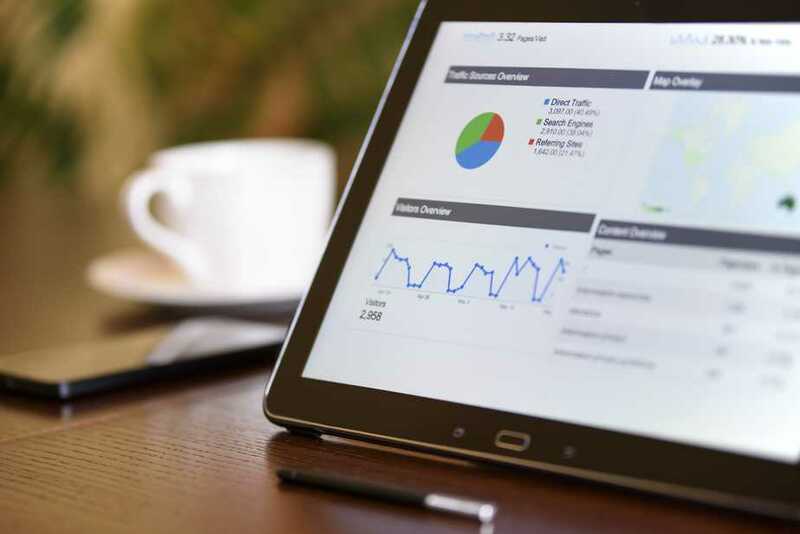 In my last post “SEARCH ENGINE OPTIMIZATION(SEO) TIPS TO INCREASE TRAFFIC”, I wrote important and basic tips which may help you to increase traffic to your page and website. Here I am with some more tips that also help you to increase traffic and make your site appear on the first page in google search (which off-course everyone wants) because people don’t like to go on 3rd or 4th pages. These are the tips which I used and found relevant. For Example, if you are writing your blog on “SEO” and you keep it as a keyword then there are so many pages related to “SEO” and it’s really difficult for the user to find your page. 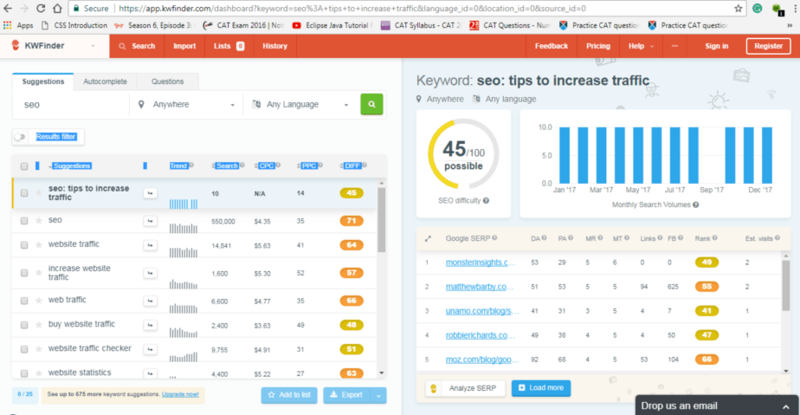 In the below image I used KWFinder to see its SEO difficulty of Keyword. You can see it is hard to find your page with this keyword. But if you change it and keep it like “SEO: Tips to increase traffic”. 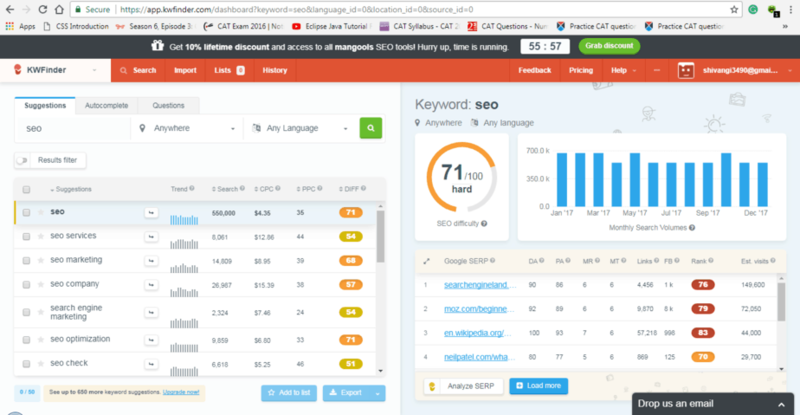 You can see that this keyword is appropriate for your page and more chances that user can visit your page. your website or webpage are accessed by a wide range of devices (such as tablets, mobile phone, and desktop) which has different screen size and different Operating System. So make sure your page looks good on all devices. A large number of people across the world visits your page from different devices. If your website took much time to load or if your page is not compatible with their system then they will not visit your page again. If you want people to visit your page again then allow them to read your content without facing much trouble. Avoid too many ‘ads’ above your content. People don’t visit your page for ‘ads’. Avoid annoying popups. This creates a problem for the visitor to read the content. One small tip which I find important is that keeps your content informative and simple. Keep updating your page or website regularly. Its keep your content fresh (not archive) and relevant. This also plays a major in Google SEO. Even a small update helps you to increase traffic. I think this problem faced by most of us and we can understand how annoying it is. This may decrease traffic on the page drastically. Google also remove your page as it contains inorganic (bad) links. Make sure your page is not hacked or contain any bad link. There is one website “Sucuri’s free site check” which allows you to scan your website or webpage for hacks/security issues and find out if you are on any blacklists. These are some more tips which I found helpful and hope they may also help you. Remember friends “Patience is a key to success”. Don’t write anything to increase traffic. Keep your keyword and content in sync. Make sure people enjoy and collect information that is relevant. It will help you in a long way. Share your experience in the comments. Fantastic goods from you, man. I’ve take into account your stuff previous to and you’re simply too excellent. learn far more from you. That is really a great site. I just could not go away your website before suggesting that I extremely enjoyed the usual information a person provide to your guests? Thanks. I would like to know the topic you like to read.